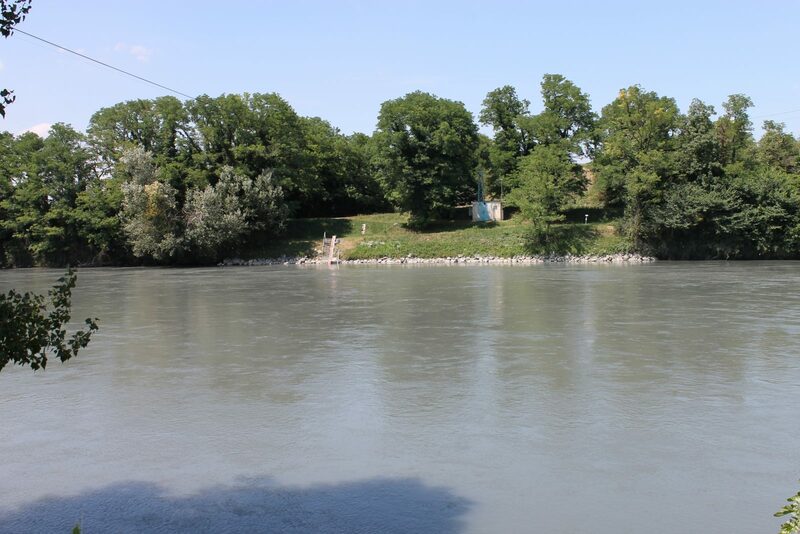 In order to manage the hydropower facilities it operates, the Compagne Nationale du Rhône (CNR), France’s no. 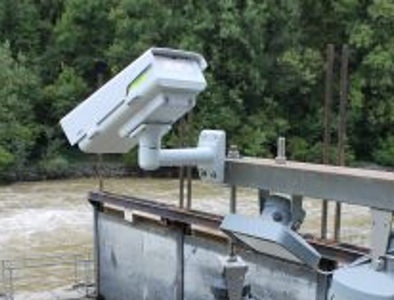 1 producer of 100% renewable energy, must quantify the discharge transiting through the sections equipped with hydrometric stations. 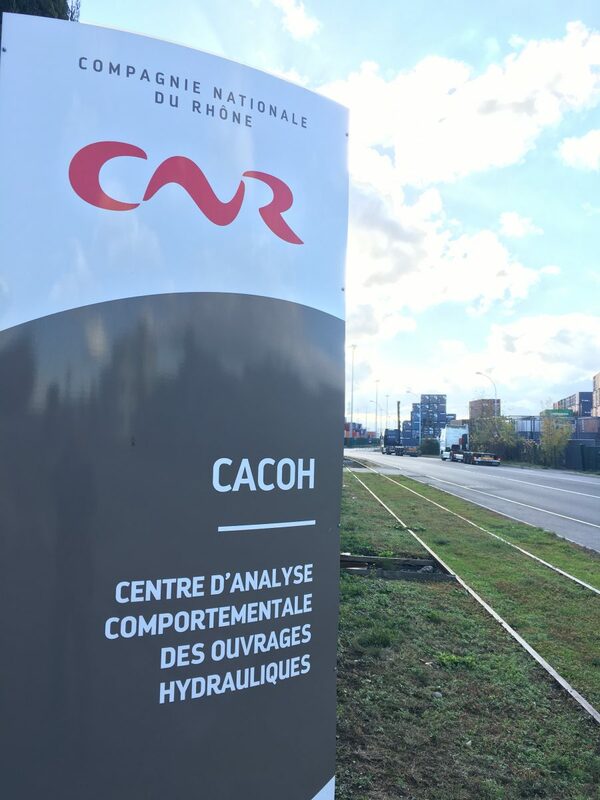 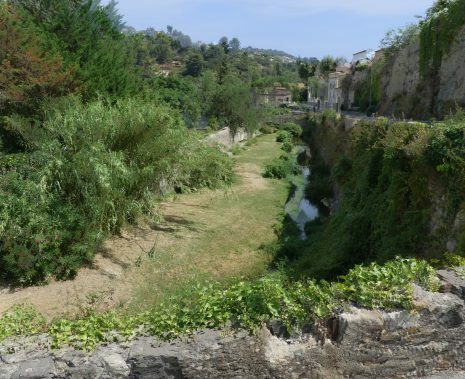 The hydrometry department of the Centre d’analyse comportementale des ouvrages hydrauliques (CACOH – centre for behavioural analysis of hydraulic structures) manages 220 hydrometric stations for the CNR’s operational requirements. 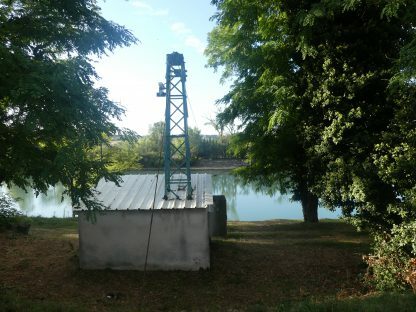 The Beaumont-Monteux hydrometric station presents the particularity of being located just downstream from a structure that can modify the cross distribution of velocities in the section. 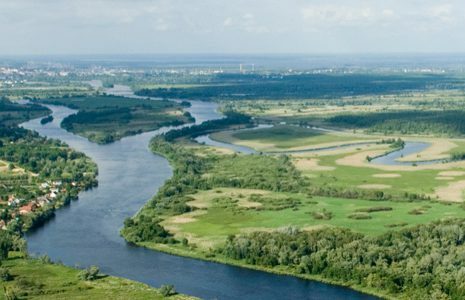 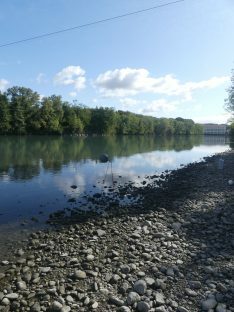 It is also affected by the backwater effect of an hydroelectric structure just after the confluence with the Rhône river. 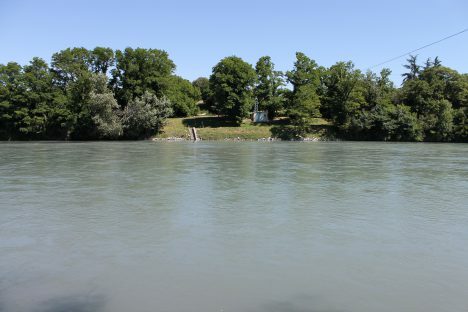 This leads to a non-unique stage-discharge relation. 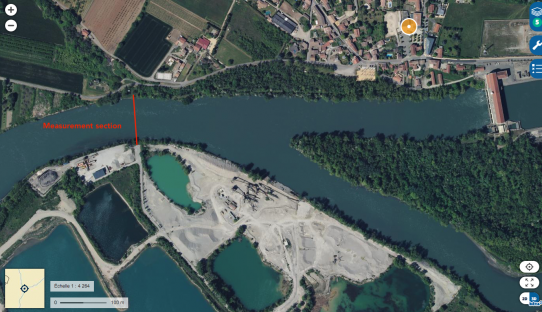 Flow in the section of the hydrometric station is in fact influenced by the variable eddy of Bourg-lès-Valence hydropower scheme located further downstream on the Rhône (about 4.75 km away). The height of water at this dam is adjusted in compliance with the operating rules for habitual discharge. 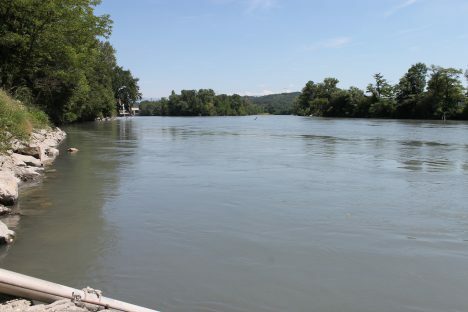 When the discharge in the Rhône and the Isère exceeds a certain threshold, the gates are opened gradually and the effect of downstream influence disappears for the worst floods. 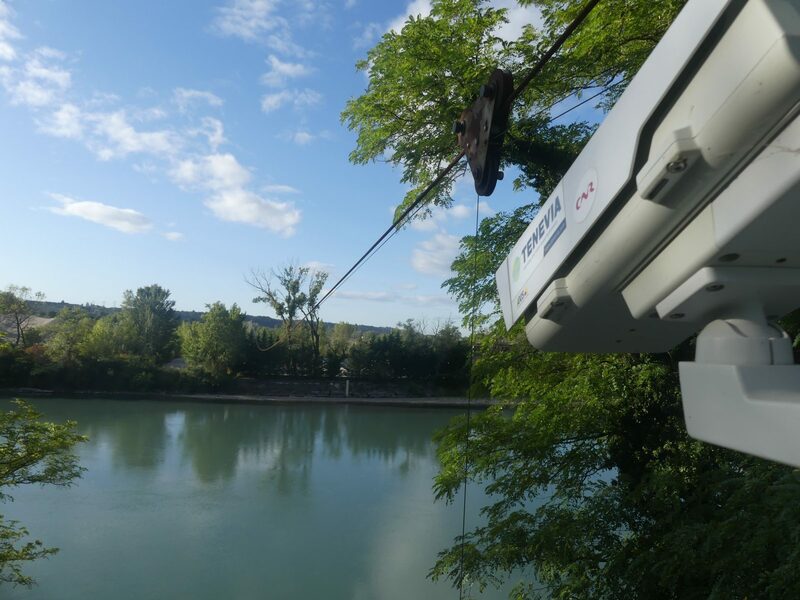 A CamFlow system was therefore installed to offer the operators real-time knowledge of discharge in the Isère, whatever the range of height and the operation of the neighbouring hydraulic structures. 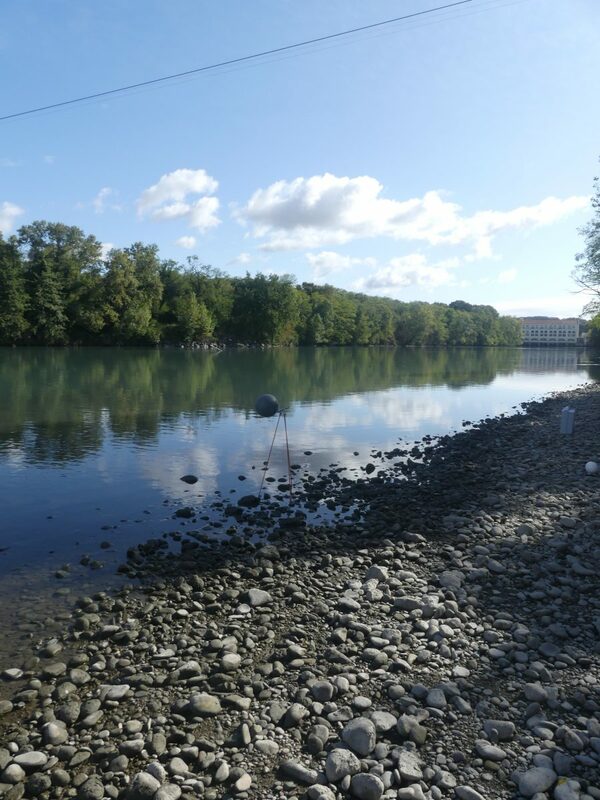 Considering the bathymetric modifications that result from major flooding (rating curve shift), CamFlow also means being less dependent on traditional gauging thresholds for updating depth-discharge knowledge in low water. 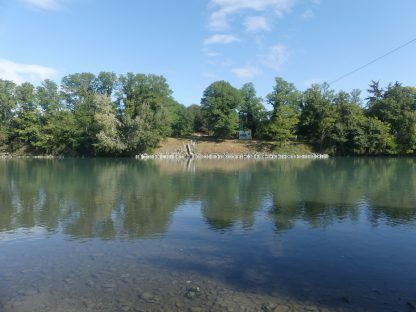 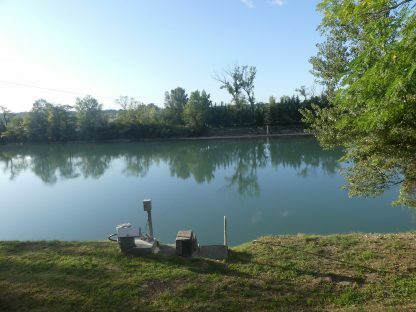 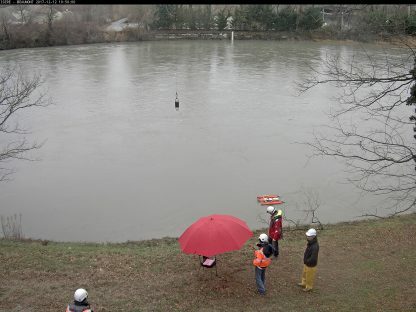 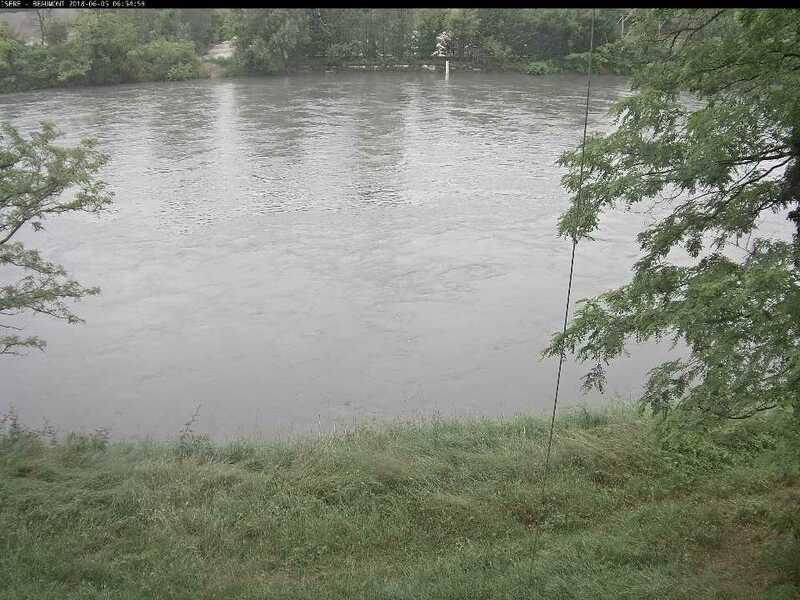 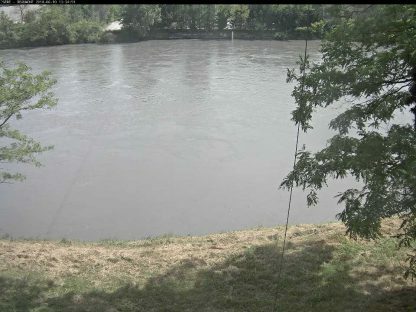 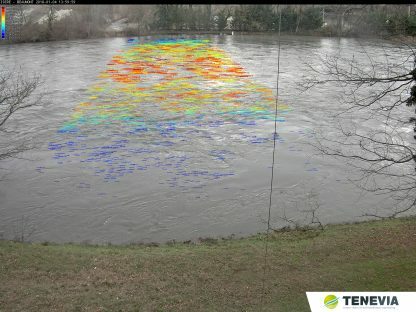 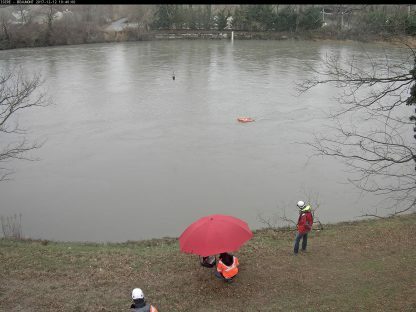 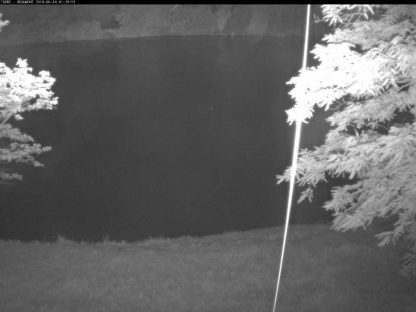 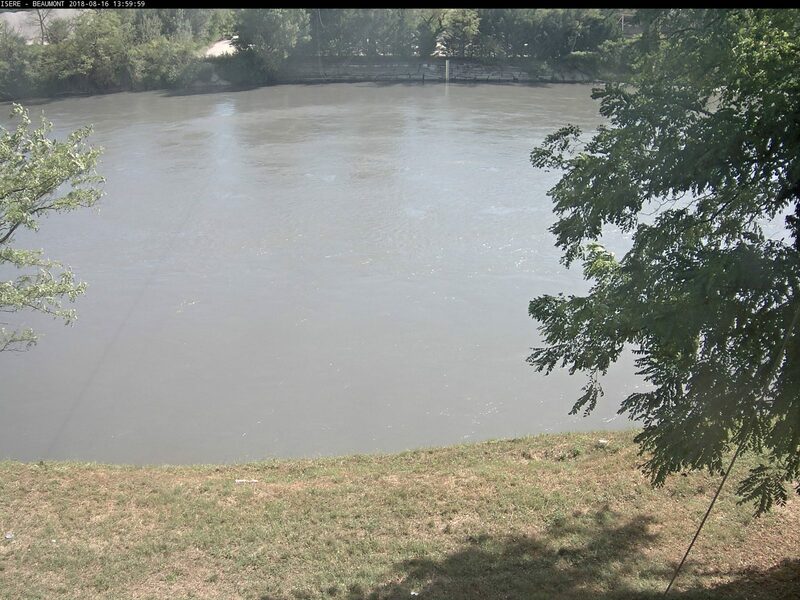 The camera is installed on the right bank of the Isère, situated nearly 80 metres from the optical target dedicated to measuring the water’s depth through image analyse on this site (CamLevel).